Guernsey is a Crown dependency north of the coast of Normandy. It is a self-governing jurisdiction and not a part of the UK. The British Government has overall charge of the defence and most of foreign relations. The latter are the most convenient for international trade and investment activities. 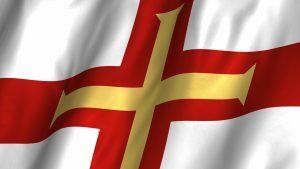 Non-resident company will not be owned by residents of Guernsey. It cannot do business with residents of Guernsey, both corporate and individual. What do you need to form a company in Guernsey? Companies are not taxed on foreign income. There is a requirement to inform the trade authorities about external business activity before March 31st. Corporate income derived from the sources inside Guernsey is taxed at the 20% rate. There will be an annual renewal fee. Annual return will be submitted and will contain the full information on shareholders and directors of the company and all changes in the management that occurred within the past year. The annual report is to be filed in the State registry together with a filing fee. There is a penalty for the late delivery of the annual report. The companies may open bank accounts worldwide. Please note that we will require personal information in order to complete registration.